This weekend’s Mexican Grand Prix could see Lewis Hamilton pull level with F1 legend Alain Prost’s tally of race wins. Prost took the chequered flag first 51 times in his illustrious career. Hamilton currently sits on 50 career wins in Formula 1, and shows no signs of stopping just yet. During the course of his F1 career, Hamilton has accumulated records at a steady rate. He already has more wins (50) and pole positions (58) than any other British driver in the sport’s history (considering the number of British F1 drivers, the comparison is actually meaningful) and is equal with Jackie Stewart for most titles by a British driver (3). In the overall standings, Hamilton lies third for pole positions on 58, after Michael Schumacher (68) and Ayrton Senna (65). If Mercedes remain competitive, it is possible that Hamilton could top the pole position list as soon as 2017. A more significant record, though, is that for most career victories. 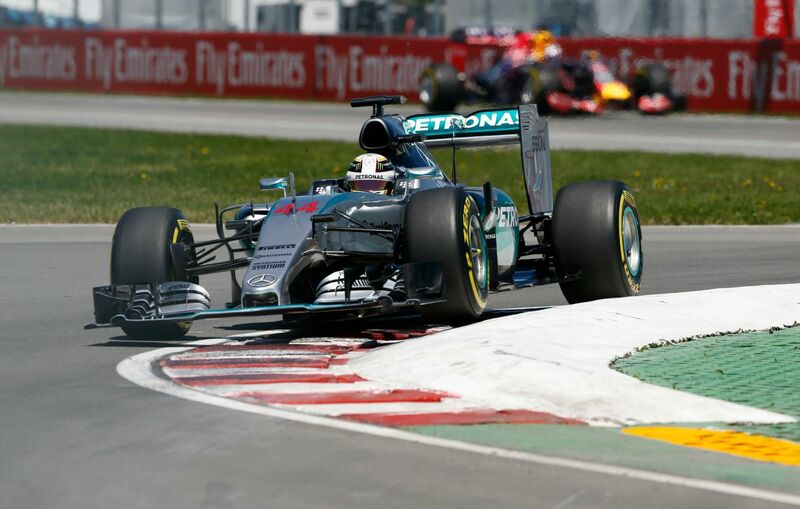 Hamilton currently lies third in the overall standings, on 50 wins. Michael Schumacher leads the way by some margin on 91, with Alain Prost second on 51. It’s Prost’s second place that Hamilton seems sure to match, perhaps even in Sunday’s Mexican Grand Prix. Prost achieved his 51st win (at the time a record) in his 196th race entry. Lewis Hamilton (if he wins on Sunday) would match Prost’s tally in only his 186th race, 10 fewer than the illustrious Frenchman. It’s worth noting here that Michael Schumacher’s 51st victory came in just his 158th F1 race when he won the 2001 Hungarian Grand Prix. Also interesting to note is Schumacher and Prost each took their 51st win in the year they won their fourth World Championship (Prost in 1993 and Schumacher in 2001). If Hamilton wins the title this year, he will also match Prost’s tally of 4 titles. Lewis Hamilton is only 31 years old and potentially has several F1 seasons remaining in his career. It seems virtually certain that he will equal Prost’s tally of wins, perhaps even this weekend. The next target is Schumacher’s mammoth 91 victories. How close can Hamilton get? Time will tell. Hamilton’s incredible run of pole positions continued as the reigning World Champion topped qualifying for tomorrow’s Hungarian Grand Prix. 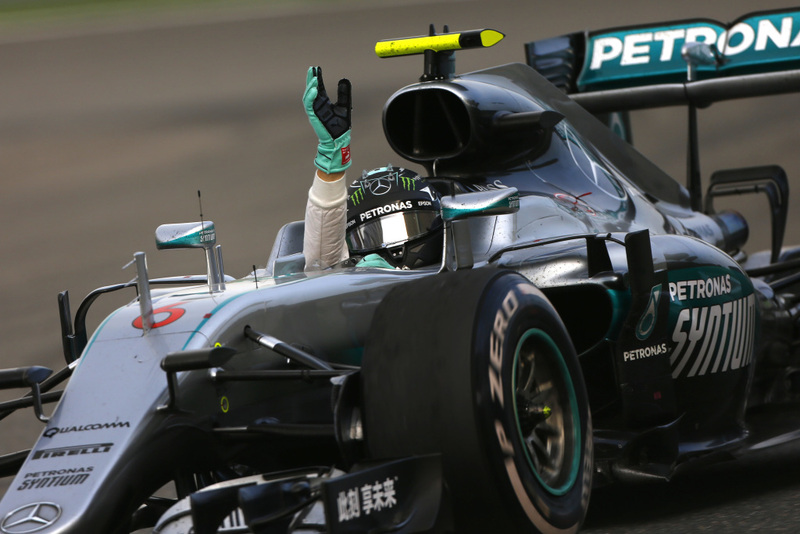 Hamilton now has nine pole positions out of ten races in 2015, and five poles in a row. Nico Rosberg completed the front row of the grid for Mercedes, the fifth race in a row that has happened. Who can beat Hamilton to pole? 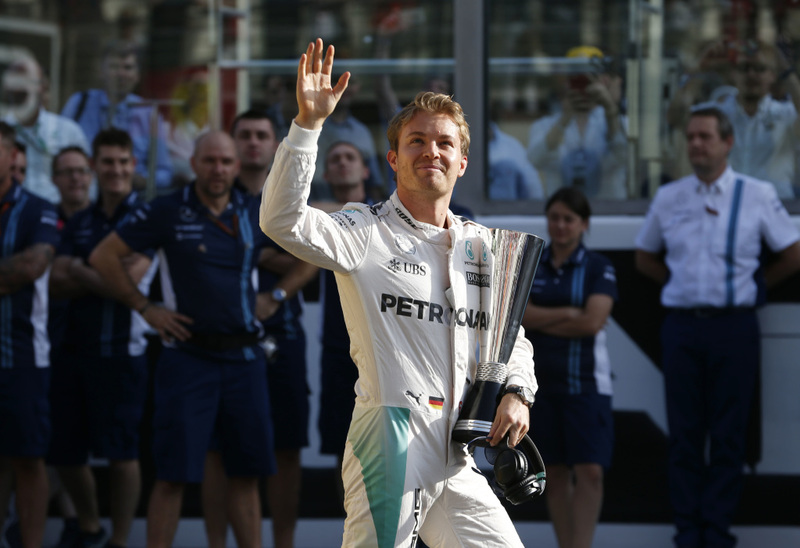 So far only Nico Rosberg has done so this year, and on only one occasion. The rest of the season, Hamilton has seemed untouchable. In qualifying for the Hungarian Grand Prix, Hamilton lapped over half a second faster than team-mate Rosberg, which is a massive margin in equal equipment. Rosberg didn’t seem to be able to put together a clean lap, perhaps a sign of how hard he is having to push to catch Hamilton. Hamilton’s five poles in a row equals the most consecutive pole positions by a driver currently racing in Formula 1. Fernando Alonso achieved the feat in 2006 and Sebastian Vettel has done it twice – in 2010-11 and again later in 2011. Hamilton still has a way to go to beat Ayrton Senna’s astonishing record of eight successive pole positions, set in 1988-89, but it is certainly possible that Hamilton might dethrone Senna a bit later in 2015. In a sport as competitive as Formula 1, any small advantage can be the difference between winning and coming second. Pole position provides at least two such advantages – pole position is generally on the “cleaner”, more grippy side of the track, which makes for a better start to the race than second place; the pole-sitter also controls the pace of the warm-up lap, which allows him to maximise the preparation of his own car for the start of the race. Pole position is definitely the place to be at the start of a Grand Prix. Tomorrow, Hamilton will start from pole position for the ninth time this season. For the ninth race in 2015, he will have the advantages that make his race start a little bit easier and therefore potentially faster. And the Hungaroring, where the race is taking place, is a track at which overtaking is notoriously difficult. It’s not quite as simple as Hamilton needing to just make a clean start to win the race, but it’s not far off that. If Rosberg can pass Hamilton on track, it will be an impressive move indeed. Once again, Hamilton has set himself up to have the best chance of victory in a Grand Prix. That’s just one of the many reasons he’s currently the man to beat in Formula 1. Lewis Hamilton is the reigning Formula 1 World Champion. He is leading the 2015 Drivers’ Championship and is the favourite to be this year’s champion too. One of the reasons for his current dominance is his qualifying performance. 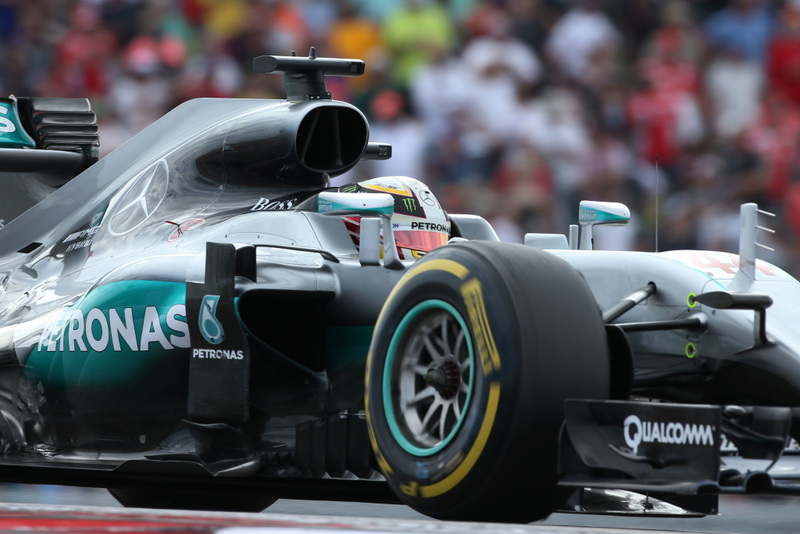 Hamilton has qualified in pole position for nine out of the first ten races of the season. That performance is remarkable, and could lead to Hamilton breaking some records in the not too distant future. What’s perhaps most impressive about Hamilton’s qualifying record in 2015 is how much he has improved since 2014. Last season, Nico Rosberg had team-mate Hamilton soundly beaten in terms of pole positions over the season, taking 11 poles to Hamilton’s seven. In 2014 so far, Rosberg has just one pole position (in Spain), while Hamilton has had the top spot on the grid for every other race. The record for most pole positions in a season is currently held by Sebastian Vettel, who was on pole an astonishing 15 times out of 19 races in 2011. Hamilton will need another seven pole positions this season to beat Vettel’s record. 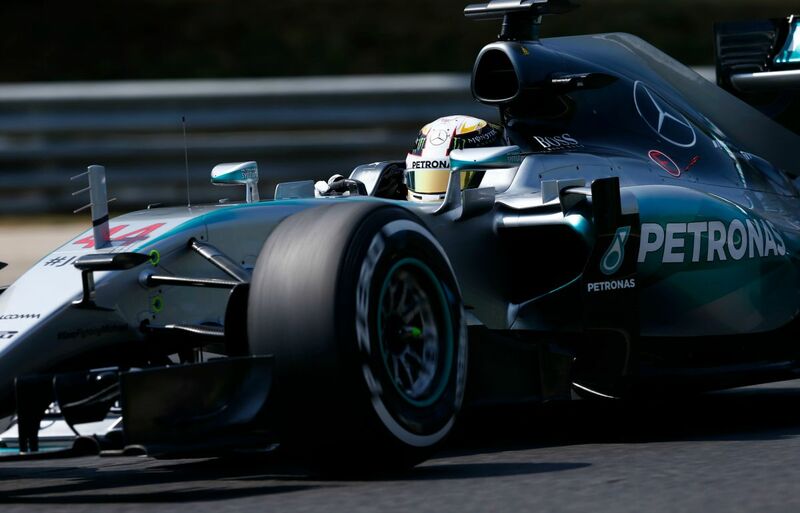 After this weekend’s Hungarian Grand Prix, there are nine races left in 2015. If Hamilton keeps up his Saturday dominance, there is a distinct possibility that Vettel’s record could be under threat. Given the dominance of the Mercedes team since the start of 2014, it looks like Hamilton is set to have many more pole positions over the next season or two. And that puts a more significant milestone within reach – Michael Schumacher’s record of 68 career pole positions. Hamilton is currently on 47 career pole positions (up to and including the 2015 Hungarian Grand Prix), 21 shy of Schumacher’s record. There are not enough races left in 2015 for Hamilton to challenge the record this season, but it could be within reach as soon as the end of 2016 if Mercedes can produce another dominant car for next year. At just 30 years old, Hamilton still has potentially quite a long career in Formula 1 ahead of him. Even if he finds himself in less than dominant cars for a few seasons, it is still likely that he will ultimately beat Schumacher’s qualifying record. Of course, there’s always the possibility that Sebastian Vettel (currently on 45 pole positions) will get there first. The Formula 1 community is in mourning following the passing of 25-year old Jules Bianchi on Friday night 17 July 2015. Bianchi had been hospitalised since suffering head trauma during the Japanese Grand Prix on 5 October 2014 and never regained consciousness after the crash.. In a sport that has made enormous developments in driver safety over the past few decades, it comes as a real shock that a driver can die as a result of injuries sustained in a crash during a Grand Prix. Bianchi’s death is a reminder of the inherent dangers in motorsport and the constant need to improve safety wherever possible. Bianchi’s death marks the second tragedy to befall the Marussia F1 team, after the death of Maria de Villota in October 2013. De Villota was involved in a testing crash in July 2012, as a result of which she lost her right eye. Although she was released from hospital and resumed her public life, on 11 October 2013 De Villota suffered a cardiac arrest, which may have been related to her injuries of a year before. She was dead at just 33-years old. It’s been 21 years since a driver died as a result of a crash on a Grand Prix weekend. The last driver to do so before Bianchi was, of course, Ayrton Senna. I remember watching Senna’s crash live on television and I remember vividly watching the 2014 Japanese Grand Prix and fearing a similar fate for Bianchi. I’m sure the loss I feel in the wake of Bianchi’s death is but a shadow of the anguish his family is going through. My thoughts are with them at this very difficult time. Jules Bianchi was a phenomenal talent. He won races in Formula 2, Formula 3, Gp2 and Formula Renault 3.5 before progressing to Formula 1, where he immediately impressed. He scored the first ever points (and only points to-date) for the Marussia F1 team when he finished 9th at the 2014 Monaco Grand Prix. 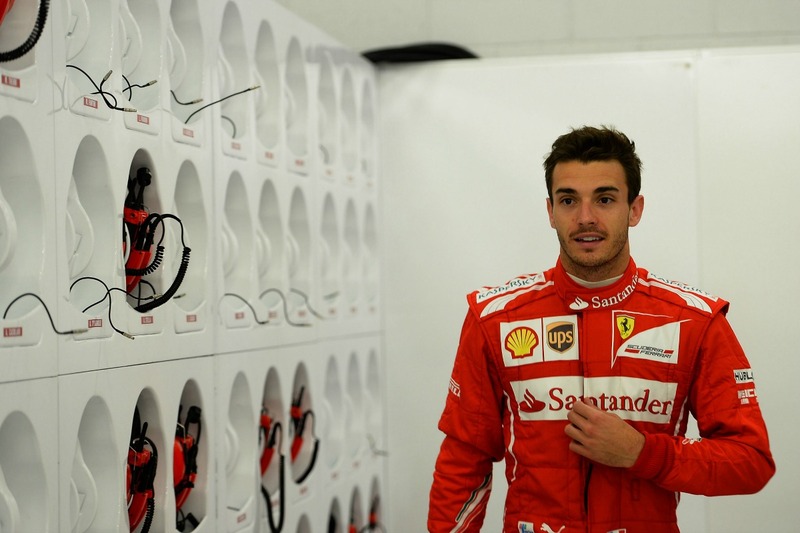 As a member of the Ferrari Driver Academy, Bianchi was frequently speculated to be in the running for a Ferrari Formula 1 drive, which could well have happened if not for his fatal injury. Bianchi was Ferrari’s test and reserve driver in 2011 and fulfilled the same role for Force India in 2012 before making his F1 race debut in 2013 for Marussia. Bianchi was considered by many to be a future race winner and potential world champion. In that respect, and in terms of his clear skill behind the wheel of a racing car, comparisons can be drawn with the late Gilles Villeneuve, who is considered one of the great talents of Formula 1 but died without a championship to his name. “Furthermore, we thank Jules’ colleagues, friends, fans and everyone who has demonstrated their affection for him over these past months, which gave us great strength and helped us deal with such difficult times. Listening to and reading the many messages made us realise just how much Jules had touched the hearts and minds of so many people all over the world.